News » Gigi Hadid moving on from Cody Simpson with Joe Jonas? Gigi Hadid moving on from Cody Simpson with Joe Jonas? Is Gigi now moving on from Cody with Joe Jonas? When it comes to the entertainment industry, we often see a huge amount of celebrity relationships and, while some of these relationships can go on to last many years, it does seem that the majority of them barely last very long at all. We see a huge amount of celebrity break ups ever year but, rather than sitting around and wallowing about the split, these stars tend to move on pretty quickly. Stunning supermodel Gigi Hadid has been dating the handsome star Cody Simpson for quite a while now and it always looked like the two of them were very happy together, and very much in love. However, it was recently revealed that Gigi and Cody have decided to call and end to their relationship, with another celebrity split to add to the ever-growing list. With that said though, it seems that Gigi Hadid is not too upset by her split and is already moving on from Cody Simpson with the very talented and very good-looking Joe Jonas. Gigi and Joe have been seen together on a number of occasions now and they do look like they have been having a lot of fun together, with many people commenting on what a cute couple they would make. Unfortunately though, it looks like these two stars might be nothing more than just good friends, as Joe Jonas was recently speaking about his relationship with Gigi Hadid, when he explained that he was still a single man. How disappointing is that. 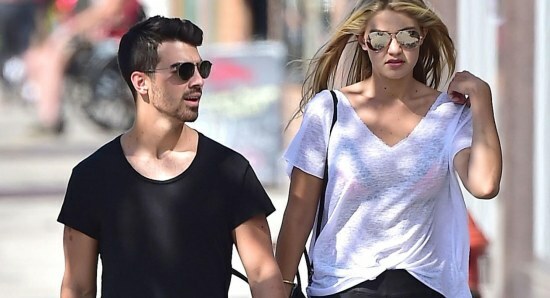 We think that Gigi Hadid and Joe Jonas would make a great couple.